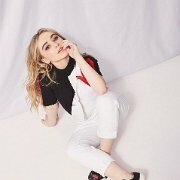 Photo gallery of singer, songwrite, and actress Sabrina Carpenter wearing various pairs of chucks in casual poses. 1 Sabrina Carpenter Sabrina Carpenter wearing black high top chucks with argyle socks. 2 Sabrina Carpenter Optical white high top chucks are a simple but cool look for Sabrina Carpenter. 3 Sabrina Carpenter These floral print low tops match Sabrina’s shirt and overalls perfectly. 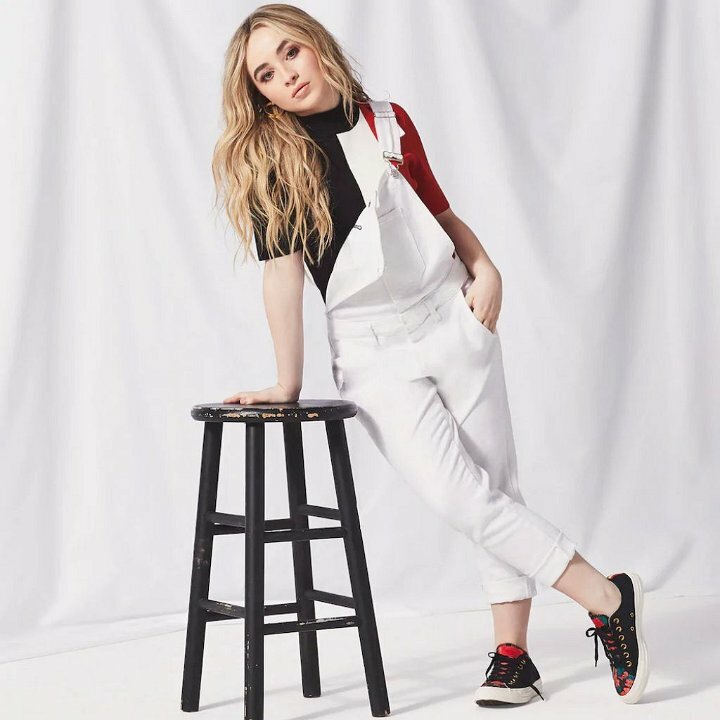 4 Sabrina Carpenter Black long pants, blouse, and optical white low tops are a chic look. 5 Sabrina Carpenter On the tips of her toes like MJ in maroon low top chucks. 6 Sabrina Carpenter Sabrina poses in black chucks with friends wearing red low top and optical white high top chucks. 7 Sabrina Carpenter Striking a pose wearing optical white low cut chucks. 8 Sabrina Carpenter Black and white Converse everything. 9 Sabrina Carpenter From the laugh to the outfit, this photo screams fun. 10 Sabrina Carpenter Sabrina squaring up in optical white chucks with print shoelaces. 11 Sabrina Carpenter Kicking it into high gear while decked out in black high top chucks. 12 Sabrina Carpenter Sabrina in a chic Converse skirt, beret, and black low top chucks with black shoelaces. 13 Sabrina Carpenter A thoughtful pose. 14 Sabrina Carpenter Sabrina exudes confidence in this black, white, and gold Converse ensemble. 15 Sabrina Carpenter Sabrina wearing white print high top chucks. 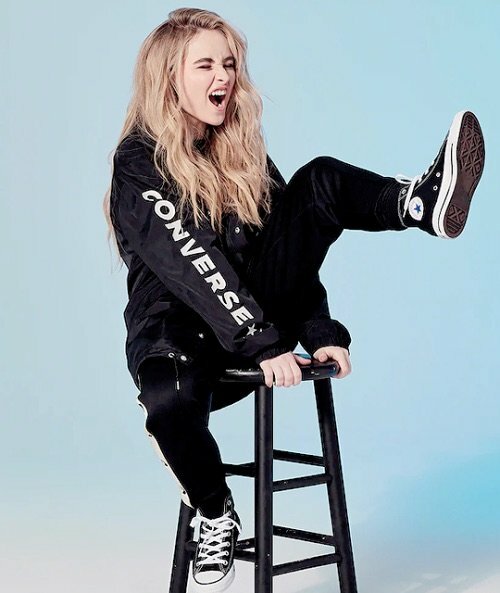 Photo gallery of singer, songwrite, and actress Sabrina Carpenter wearing various pairs of Converse All Star Chuck Taylor sneakers.